It’s always tough to shake off a bad reputation. When it comes to a country’s global standing, it’s not a great look to have a coup listed on your record — let alone four in less than 20 years. But Fiji has been trying to leave behind its reputation as a “coup-prone state”, and it has the chance to do so again when it stages its national elections on Wednesday. It’s been 12 years since a Fiji government was taken over by the military. The most recent coup saw the Pacific nation become a pariah state in the eyes of Australia and much of the world. 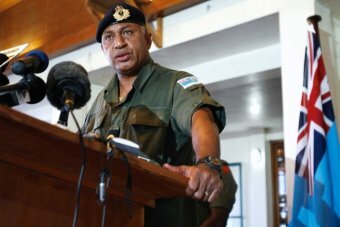 Fast-forward to 2018 and Australia has all but put Fiji’s coup history behind it. Relations between the two countries are strong, which observers say is important, given the changing geostrategic environment and China’s growing influence in the Pacific region. 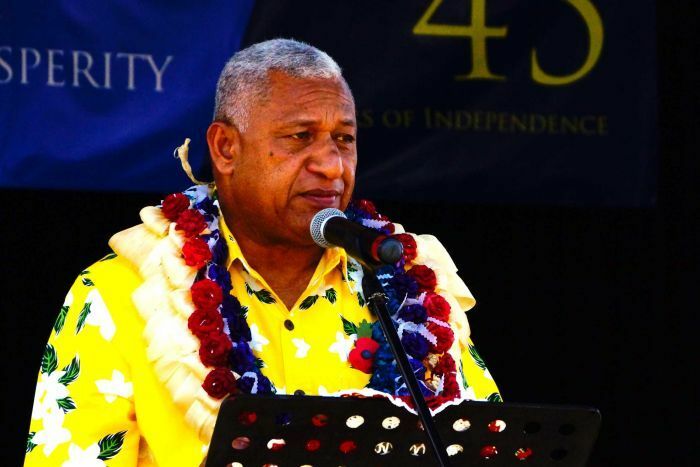 Over the past four years under Prime Minister Frank Bainimarama — the former military commander who staged the 2006 coup — Fiji has been raising its voice internationally, especially on climate change. But many argue Fiji’s questionable human rights record, which is largely linked to that coup history, is not entirely behind it. 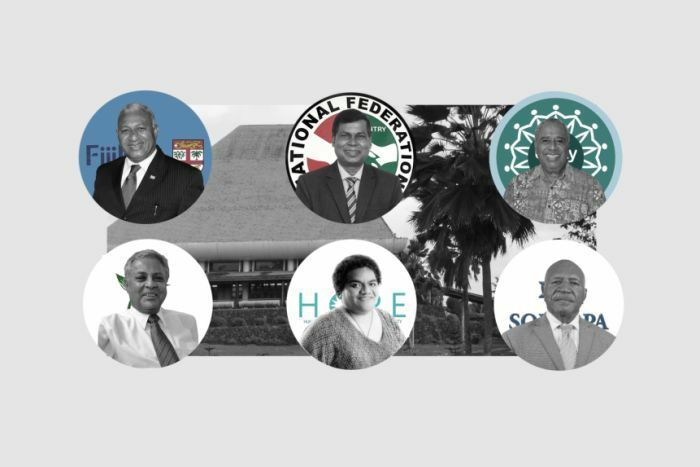 When Fijians cast their votes this Wednesday, some of the names on the ballots will belong to people who played crucial roles in one or more of Fiji’s four coups. “All the parties have people associated with past coups, either directly or supporters,” Steven Ratuva, the director of the MacMillan Brown Centre for Pacific Studies at the University of Canterbury, told the ABC’s Pacific Beat program. None are more obvious than the two men vying to be Prime Minister. The 2018 election pits the current Prime Minister, Mr Bainimarama, against another former coup leader, retired major-general Sitiveni Rabuka — a polarising figure in Fiji who instigated two coups in 1987, and the man often accused of sparking Fiji’s coup culture. But both men claim the coups are a thing of the past. Fijian voters certainly want to believe that, and will likely be focussed on the basics when they cast their votes: jobs, the cost of living, and wages. “We all want to believe … there will be no more coups in future,” Professor Ratuva said. But a climate of fear persists, with many Fijians worried about what could happen if the election results don’t please certain individuals. Fiji police commissioner Brigadier General Sitiveni Qiliho — himself a former military commander — has had to hose down rumours of a possible coup taking place after the November 14 poll. “I can assure the people we are postured for any security situation that will arise, and we have been in close contact with military counterparts … They have responsibility as well,” he told Fiji media. The military has, for its part, made statements saying it will respect the outcome of the election, whoever wins. But Jon Fraenkel, a close observer of Fiji politics at the University of Wellington, said Fiji citizens were entitled to be wary, even paranoid. “One has to be concerned about the military, given that it’s overthrown the government numerous times,” he said. 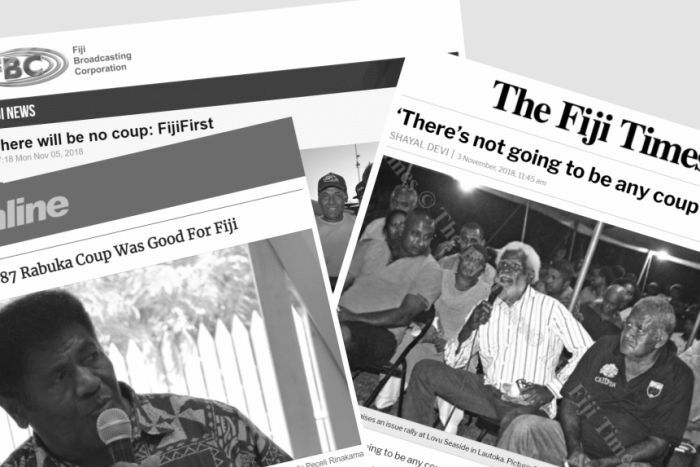 The 2013 constitution is described by its backers as the first truly democratic constitution Fiji’s ever had, but critics point out it grants immunity to anyone involved in the country’s coups. It also includes a clause that gives the military the “overall responsibility” to ensure security, defence and the “well-being” of Fiji and all Fijians. 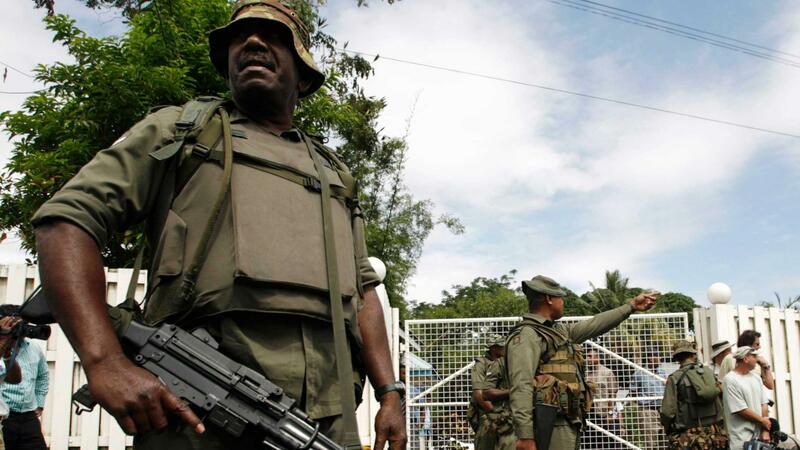 “The role of military has been redefined by the new constitution,” Professor Ratuva said. However Fijians won’t even know until tomorrow, less than two days before the poll, whether Sitiveni Rabuka will be allowed to contest the election. His fate lies in the hands of the courts. Fiji’s Independent Commission Against Corruption (FICAC) has appealed a Suva Magistrates Court decision to acquit Mr Rabuka on charges of failing to declare tax liabilities with the electoral office. The lawyers for FICAC have pushed for Mr Rabuka to be convicted rather than face a re-trial. If he was to be convicted, that would disqualify him from contesting the election. “The whole election’s been thrown into a kind of chaos already with the charges pursued against the leader of opposition, Sitiveni Rabuka,” Professor Fraenkel said. Tens of thousands of people have already voted in pre-polling. Fiji’s Electoral Office has been seeking legal advice on what would happen to votes cast for Mr Rabuka during early polling in the past week. 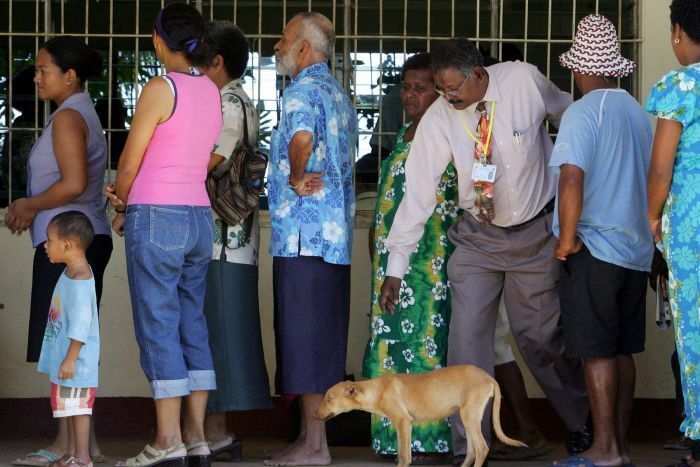 Under Fiji laws, votes cast for candidates who are disqualified before the polling date would not be counted. But votes cast for candidates like Mr Rabuka are important under Fiji’s relatively new and radically altered electoral system, introduced in 2013, which has just one electorate. Parties are allocated seats in parliament according to the total percentage of votes they win. In 2014, Mr Bainimarama personally won just over 200,000 votes, about 40 per cent of all votes cast. The Bainimarama Government has been intent on introducing major reforms that would reduce simmering racial tensions, which have long been linked to Fijian politics, and fix its economy which was damaged by political instability. “The economy’s been chugging along domestically, which is why the regime has been able to get some domestic stability,” Professor Fraenkel said. A key contributor has been Australia’s re-engagement following the 2014 election, when then-foreign minister Julie Bishop announced the Government had lifted the last remaining sanctions it had slapped on Fiji following the 2006 coup. At the time she described it as a “new era” in diplomatic relations, and Canberra now describes its relationship with Fiji as “strong”. Two-way trade between the countries has been increasing and was worth $2.13 billion in 2016-17. Australia has also moved to re-engage with the Fiji military after years of sanctions, and recently announced it would help Fiji to redevelop its Blackrock military base into a regional hub for police and peacekeeping training. “The relationship has grown from strength to strength,” Australia’s new Assistant Minister for the Pacific Anne Ruston said. But Professor Ratuva said that while relations have normalised as a result of Fiji’s move to democracy, this should be viewed in light of the changing geostrategic landscape. When Fiji was left out in the cold by Australia and its allies — and even prior to the 2006 coup — Fiji had adopted a “Look North” policy that included strengthening ties with China and Russia. “Australia is keen to have Fiji on board as a friend, because at the time of its suspension, it’s been able to leverage its power to link up [with] the Chinese and become a significant player in the global scene and also within the Pacific,” Professor Ratuva said. 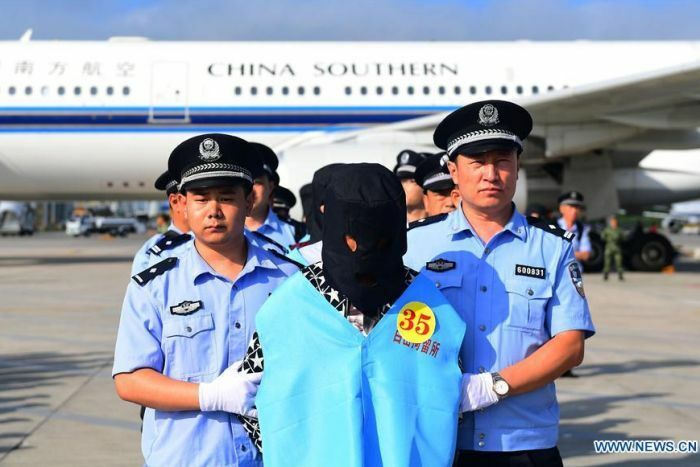 Questions were raised in 2017, when uniformed Chinese police deported 77 Chinese nationals from Fiji. At the time, lawyer Aman Ravindra Singh, who’s now a candidate contesting the election for the Fiji Labour Party, told the ABC that the use of Chinese police amounted to a “direct violation of Fijian sovereignty. “For China to march its police up and down the streets of Fiji … this is so unreal. Almost like there had been an invasion of our jurisdiction,” he said. Some opposition parties have voiced unease about China’s influence but none are talking about cutting ties, should they form government. 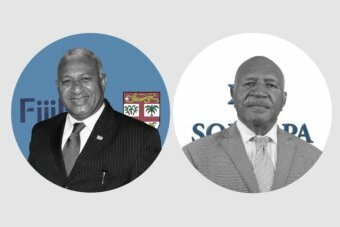 Social Democratic Liberal Party (SODELPA) leader Sitiveni Rabuka has been the most outspoken, particularly about the level of debt Fiji owes. “We are going to be selling our souls,” he told Channel 9’s 60 Minutes program earlier this year. 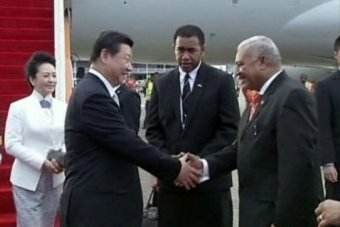 Another opposition party leader, Biman Prasad of the National Federation Party, said Fiji’s system of governance had enabled China to grow its influence. He told the ABC’s Pacific Beat program that countries which do not believe in democracy “would have an easy access” in a country that did not have a genuine democracy. “We are concerned about that,” he said. 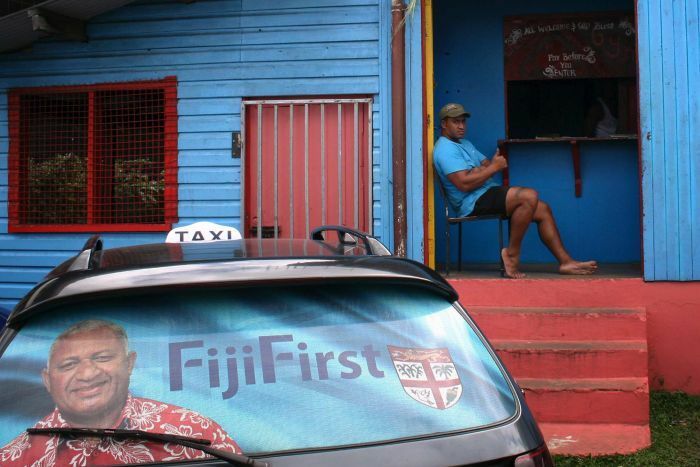 Pre-polling surveys suggest the incumbent Fiji First will retain power easily. In 2014, Mr Bainimarama’s Fiji First party won just under 60 per cent of the vote, which was twice as many as its nearest rival, the SODELPA party (28.18 per cent). “The polls before the 2014 election were pretty much similar [to those this year],” Professor Ratuva said. There are six parties vying to occupy 51 parliamentary seats. They are fielding a total of 234 candidates, of whom more than 75 per cent are men. 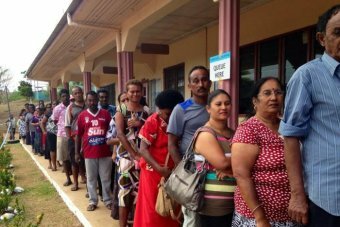 The voting age was lowered to 18 ahead of the 2014 election and, given Fiji’s large number of young people, analysts say the youth vote will play a key role in the results. While the election will be held on a single day, counting is expected to take some time as ballots trickle in from remote islands. It’s expected to take several days before a final result is announced. The smaller parties are unlikely to win enough votes to govern in their own right, and while there’s been some talk of coalitions, that will have to wait until after the results become clear. Previous World War I ended 100 years ago, but what if it happened now?